Adrian has made over 30 television documentaries, many of them about aspects of the British royal family. The latest, William, Kate & George: A New Royal Family, is to be released shortly. With their first official Royal Tour as a family in April 2014 and celebrating their first three years as husband and wife on April 29th 2014, William, Kate & George: A New Royal Family, shows the remarkable life William and Kate have built together. An inspiring portrait of two special young people and their young family, who are destined to become King & Queen of England. • The birth of third-in-line to the throne, Prince George, his presentation to the world – featuring recent footage including the Royal Christening. • How the Queen has shown her delight at William’s choice of wife and taken Kate under her wing to prepare her for public life. • We see how Kate embarked on her first solo official duties since becoming a fully fledged Royal. • Exclusive footage of the Royal Tour of Australia and New Zealand – the first tour undertaken with Prince George joining them. • And ultimately how, despite their royal wealth and privilege, William and Kate are determined to keep their connection with ordinary people, making today’s monarchy modern and relevant. This exciting new programme brings wonderful new footage and insightful commentary from some of Britain’s leading royal experts. 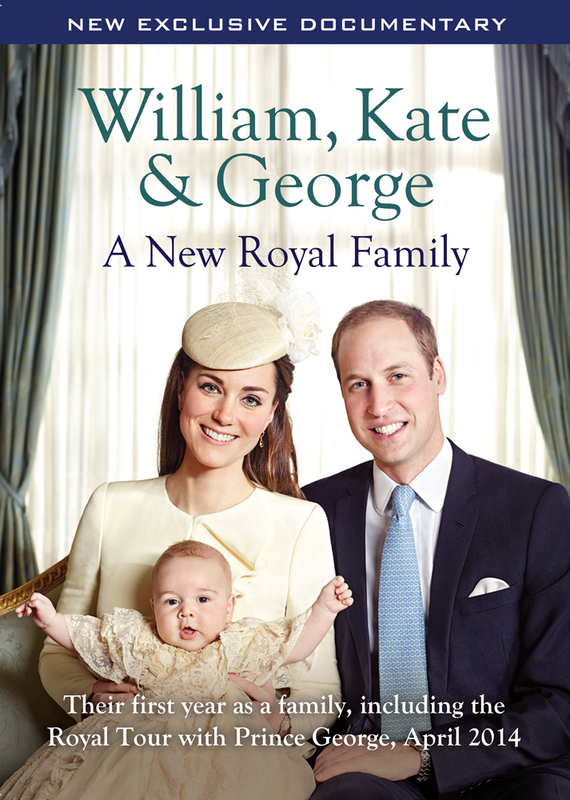 William, Kate & George: A New Royal Family is made by the production team that have made no less than 54 royal documentaries co-produced with BBC Worldwide, ITV and Universal and shown in over 80 countries around the world.